The receipt is a very important document, which takes the least time but gives you a reliable guarantee for the settlement of many trades and cash conflicts. The receipt has the full legal power, therefore, does not require notarization. If you are not confident in the integrity of the person with whom the deal or the loan amount exceeds 10 minimum salaries, then reassure her by a notary to be sure. The preparation of receipts. For receipts, there are no strict forms or fill in forms. It is written by the recipient of money in any form. The receipt enter the amount, information about the transaction, full name and passport data and actual residence address of both parties of the transaction. The document also should indicate the information that the participants in the transaction have to each other any claims. Mark the date and the painting. Certification of receipts. Make it in two copies, in the event of claims you could bring your copy of the document. If you are not sure of the reliability of a partner or make a deal with him for the first time, ask two witnesses to be present during the preparation of receipts and certify both copies with their signatures. Certification by a notary is not necessary. But if you want, sign the receipt notarially. Formalities. Take the receipt from the borrower prior to the receipt of money, and not long after that, so how can he give up writing receipts, on the grounds that allegedly did not take any money. The receipt will also specify the percentage (if any), under which the money taken in debt and the term of payment. 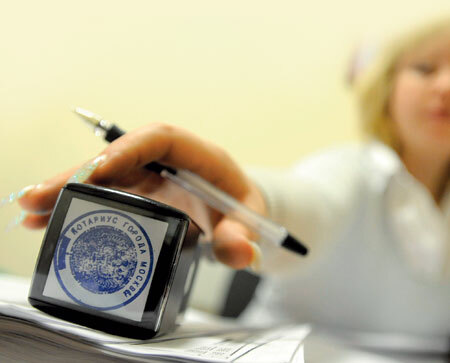 To assure receipt by the notary in advance agree with him about his presence during your transaction: it does not have any complaints about the legality of transaction.